WS_FTP Professional FTP software is the safest and easiest way to upload and download files. It provides SFTP transfers with the highest levels of encryption, is easy to use and customize, and reduces administrative burden. Protect files before, during, and after transfer with 256-bit AES, FIPS 140-2 validated cryptography and OpenPGP file encryption. Use SFTP to authenticate and connect to servers that require SSH clients that respond to server-defined prompts for authentication, in addition to username. 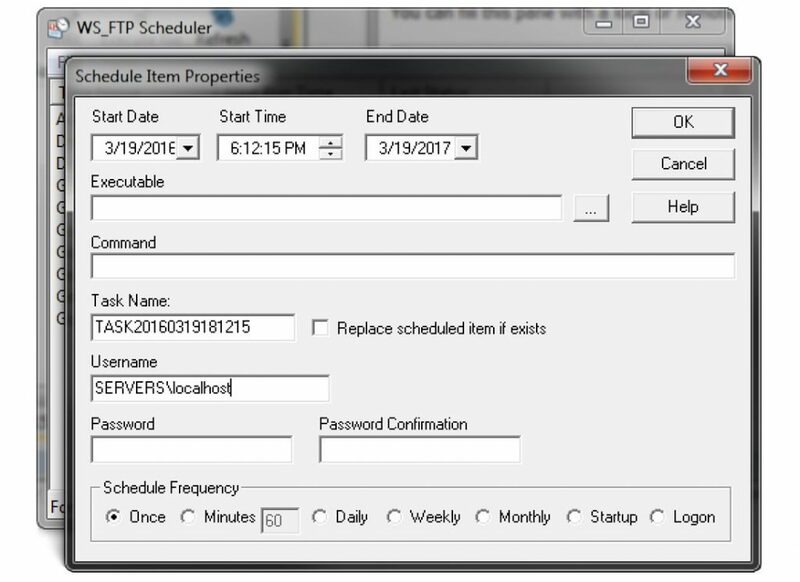 A customizable display, drag-and-drop functionality and numerous time-saving features make our FTP client incredibly easy to operate. 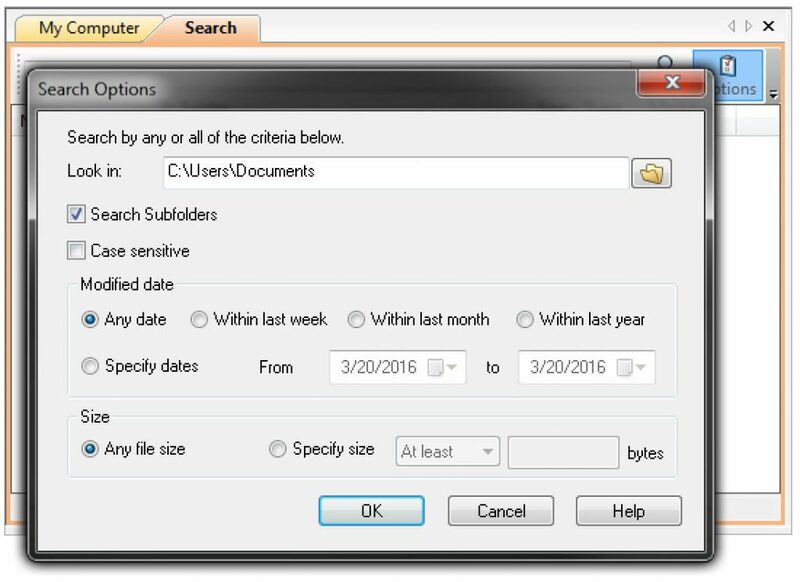 Easily locate and transfer files using integrated Google™, Copernic™ or Windows® desktop search engines. Search by parameters such as file type, size, and date. Use this SFTP client to instantly connect to multiple servers. Drag-and-drop to move any size and type of files between your computer and a remote server, or from one server to another. Schedule post-transfer actions, such as deleting, moving, or renaming files. Safely archive your most important folders and files, schedule recurring transfers, and sync to virtually any location, device, drive, or server. Leverage built-in capabilities such as email notification, backup, synchronization, compression, post-transfer events, and scheduling. Upgrade your file transfer capabilities to meet enhanced business, SLA, security or regulatory compliance requirements. 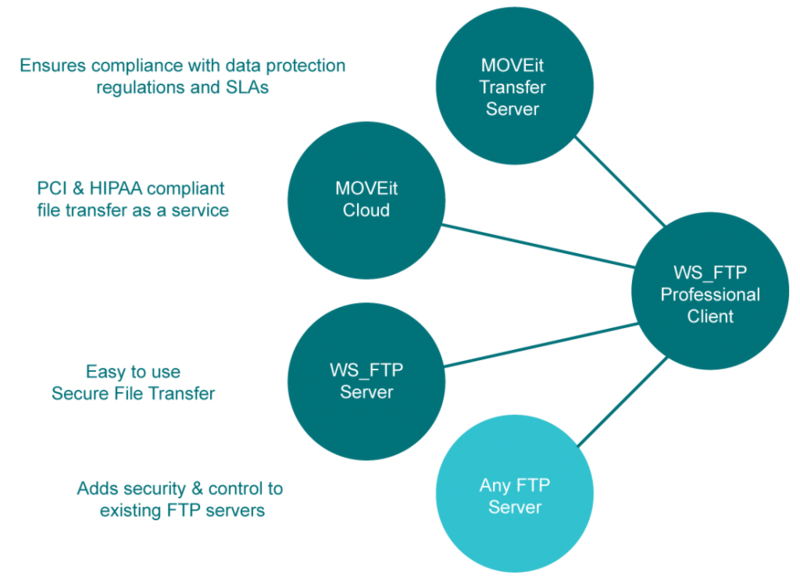 Get more control over critical business processes with our secure WS_FTP Server. Assure SLA and regulatory compliance with features like tamper-evident audit trails and documented delivery to the intended recipient (non-repudiation) by upgrading to our MOVEit Transfer server or MOVEit Cloud PCI and HIPAA compliant file transfer service. OpenPGP encrypt files for secure file management before and after transfer. 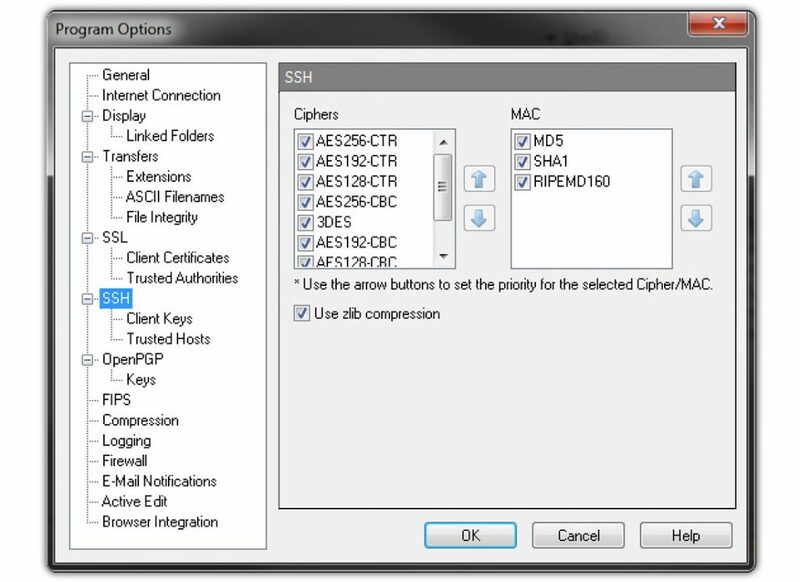 Fully integrated public-key/private-key file encryption supports AES and 3DES ciphers, offers signature (key) strengths from 1,024 to 4,096 bits, and supports RSA and Diffie-Hellman key types. Federal Information Processing Standards (FIPS) approved and validated cryptography up to and including 256-bit AES encryption over SSL, SSH, and SCP2 protocols and OpenPGP file encryption. Built-in file integrity algorithms, including CRC32, MD5, SHA-1, SHA-2, SHA-256, and SHA-512, ensure that files have not been compromised during transport, and that the source and destination files are exact matches. Safely archive your most important folders and files. Schedule and compress backups to any location or device, such as USB or DVD drives, network directories, server connections or Internet hosting services. Synch to any location, virtually any device, drive, or server. Easily define which files get transferred and how new or updated files are handled. Files can be automatically compressed into .zip format before uploading. Enable automatic email notifications to alert others that a transfer has occurred, and to verify that your transfer has been successful. View, create, and resize thumbnails of images stored on your computer or any remote server. Ability for all file transfers over SSH to run through the proxy server over HTTP. Simultaneously navigate any two connections with the same tree structure. Connect and transfer files over HTTP/S connections with Microsoft IIS and Apache web servers with full file/folder listings and navigation. Whether you need two, 200, or 200,000 licenses, we have a licensing plan for you. Licenses are typically sold in packs of 1, 2, 5, 10, 20, and 50 licenses.